A 12-week trial over an allegedly "complex, organised and systematic deception" of banks has started at the Auckland High Court. The Serious Fraud Office (SFO) accuses a former BNZ employee, Zongliang (Charly) Jiang, a lawyer, Gang (Richard) Chen and someone involved in property development, Kang (Jenny) Xu, of partaking in a large-scale mortgage fraud scheme. 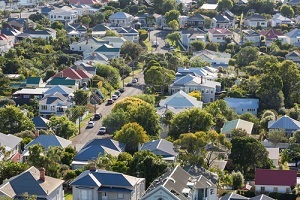 It says each of the defendants played a crucial part in using fraudulent documents to obtain $54 million of loans to buy more than 70 properties in Auckland and Hamilton. It alleges that between 2011 and 2015, 29 loans were secured from BNZ, 27 from ANZ, and one from a bank that has name suppression. The SFO accuses Richard of paying Charly, as well as a banker who worked at ANZ (Peter Cheng) but fled the country before he was arrested, $511,303 in kickbacks for processing the applications. Presenting the prosecution’s opening submissions in court on Monday, lawyer Todd Simmonds said a fifth person in the scheme - the owner of the construction business LV Park, Kang (Thomas) Huang - was the instigator. He explained Thomas and his wife Jenny were declared bankrupt between 2011 and 2013. LV Park’s primary source of funding was from a private lender, Basecorp Finance. Charging interest of up to 16% p.a., Thomas used the names of his family, friends and employees to secure cheaper mortgages from banks on behalf of LV Park. Fake IDs, bank statements and employment letters were used to support the fraudulent mortgage applications. Thomas was sentenced on February 9  to four years and seven months in prison, having admitted to eight charges of ‘obtaining by deception’, one of ‘corruptly giving consideration to an agent’, and one of’ dishonest use of a document’. While Simmonds said Thomas co-ordinated the funding, he accused Jenny of actually forging the documents and supplying the banks with these. She faces 34 Crimes Act charges of ‘obtaining by deception’. Simmonds said the SFO found templates used to create the documents when it executed a search warrant at LV Park’s Queen Street offices in central Auckland. He told the court a number of the mortgage applications were also made by the lawyer, Richard. While initially Richard and Thomas were acquaintances, LV Park soon become Richard’s key client. Simmonds said Richard was “heavily involved” in the transactions, and even made some of the supposed property purchases himself. Richard faces 11 charges (including two representative charges) of ‘obtaining by deception’. He is accused of failing to inform the banks of the fact LV Park was the true borrower behind the mortgage applications. He also faces a representative Secret Commissions Act charge of ‘corruptly giving consideration to an agent’ for paying off the BNZ and ANZ bankers. The former BNZ employee, Charly, faces a representative Secret Commissions Act charge of ‘corruptly accepting’ $260,303 in kickbacks. He also faces 25 charges of ‘obtaining by deception’. The SFO alleges the former ANZ employee, who is believed to be in China, received $258,000 from Richard. Simmonds said the prosecution would be calling 35 witnesses to give evidence in the judge-alone trial. He said SFO forensic accountant, Blair Bulloch, was expected to spend two to three weeks walking the court through a 414-page statement aimed at explaining all the transactions. The banks, a real estate agency, property valuation company, and former LV Park contractor are also among those expected to give evidence, as well as Thomas and Jenny’s parents. Simmonds alleges the parents were essentially “puppets”, whose names appeared on records, but had no involvement in the business. Interest.co.nz will report on the defence’s opening submissions in coming days. Please note Interest.co.nz has referred to the defendants by their English first names, rather than their surnames, for ease of reading.